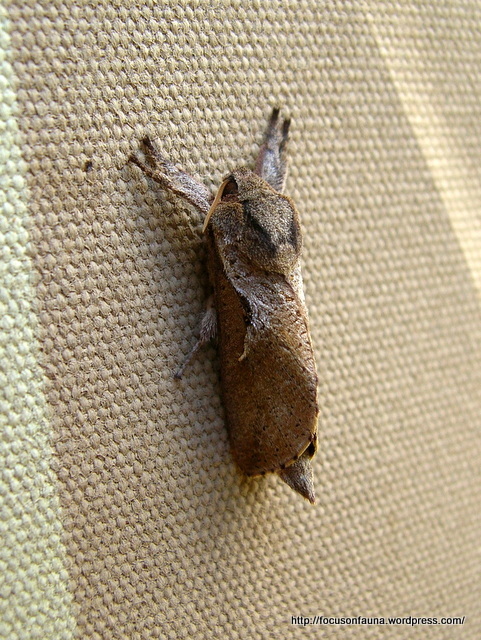 This odd little creature caught our eye as it clung to a window awning. At first glance you might think it was one of the Three Blind Mice! 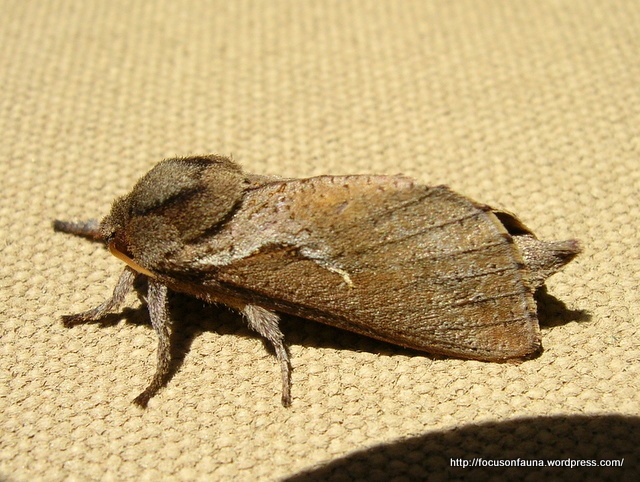 It is in fact a moth, Elhamma australasiae, of the family Hepialidae. This is a male – the female is larger and plainer. They may be seen as early as late January, but are most commonly seen from mid-February through to late-March. Thanks to Peter Marriott for the ID. 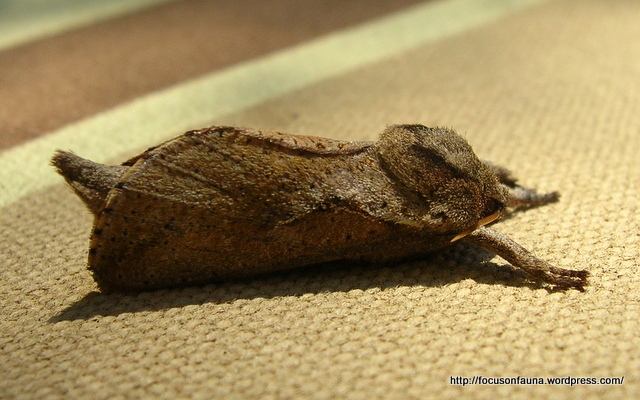 To see a wonderful array of moths recorded recently in the Strathbogie Ranges, we suggest visiting the Boundary Hill Forest Blog.